The Single Project (support for Audiovisual Content) scheme is for independent European production companies (established for at least 12 months) who can demonstrate a recent success (see description of Track Record below) who wish to develop a new project with international potential for cinema, television or a digital platform for which they own the majority of rights. Television / One-off or series | Drama (min 90 mins); Animation (min24 mins); Creative docs (min 50 mins). Digital / Virtual Reality / Web Series | Drama (min 90 mins); Animation (min 24 mins); Creative documentaries (min 50 mins). For #VirtualReality, minimums do not apply. 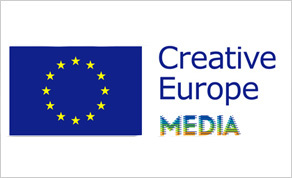 Contact Creative Europe in Dublin / Galway if you have any queries about eligibility or need help with your application; Click here for their contact information.